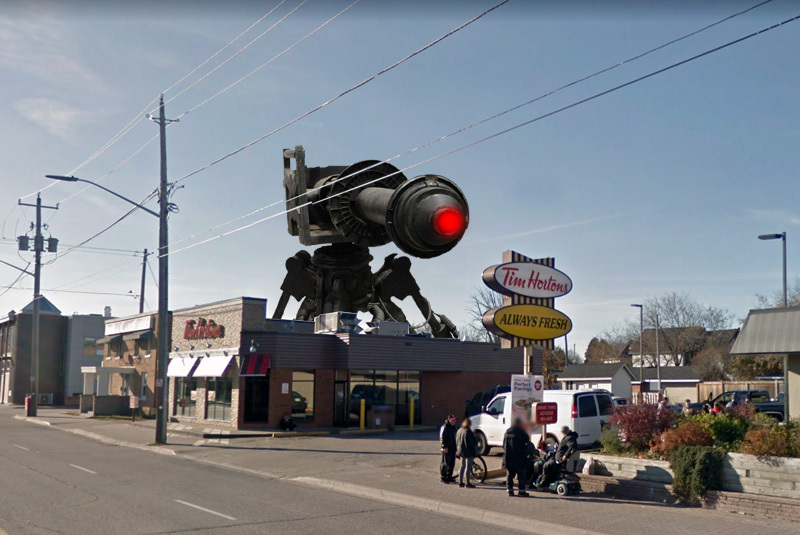 After a national search which apparently involved members of the CSIS, CIA, MI5, CIRO, and the North Bay Police Department, Sean Divine, the NBPD Chief of International Relations, has named the Tim Hortons located on Cassells St. as the official lair of Dr. Doom. “It’s obviously his hideout,” surmised Chief Divine Thursday. 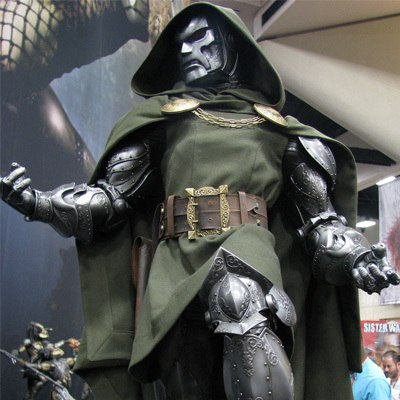 The Chief called for a special meeting in which he and many of his international counterparts promised to provide evidence that the restaurant was hiding the nefarious Dr. Doom. Chief Divine wiggled his fingers menacingly. The Cassells St. Tim Hortons has long been a hot topic for North Bay as a place where people go to get coffee and sometimes actually stay to drink it. Some have observed that a few of the Tim Hortons’ patrons look “shabby” – wearing pajama bottoms as pantaloons, carrying backpacks and skateboards, and sporting shirts that show off their shoulders, arms, or stomach – and have speculated that the fashion-challenged patrons might not live on Airport and therefore are not deserving of the finer things in North Bay, like Timmy’s tasty treats. Chief Divine wiggled his fingers menacingly but few noticed, as someone had brought in a box of mixed Timbits® and people were pretty busy trying to find the chocolate ones. The North Bay Bay asked if Chief Divine could provide physical evidence that Dr. Doom had set up shop in North Bay, to which Chief Divine turned over the podium to Clint Maxim, an agent of the CSIS. “I’ve got nothing” Clint said before disappearing into a smoke cloud. Clint later reappeared next to the Timbits® box, where he cursed whoever had eaten all the honey crullers and left nothing but old fashioned plains. Chief Sean Divine retook the stage. A member of the audience, mouth suspiciously flecked with chocolate crumbs, asked if Divine had gone inside to find the deadly green hooded supervillain.